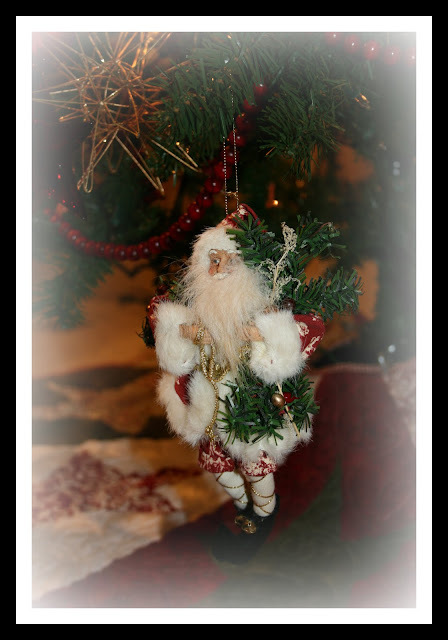 Gigi's Thimble: It's beginning to look a lot like Christmas! Well, it was a two week process, but I'm finally done getting my Christmas decorations up. 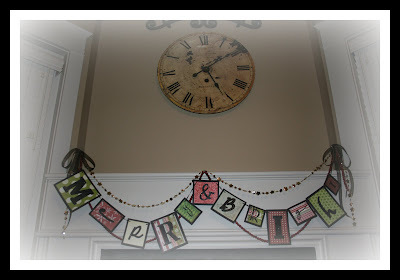 I thought I would post a few more pictures since some of you had asked to see the Christmas banner that I made last week with some crafty friends of mine. This banner was inspired by this picture. It was a fun little project that we were able to get done in one evening. We just used a Cricut machine to cut out the cardstock letters and then applied black glitter with a gluestick. I'm thinking maybe Mod Podge would work better next time though!?! 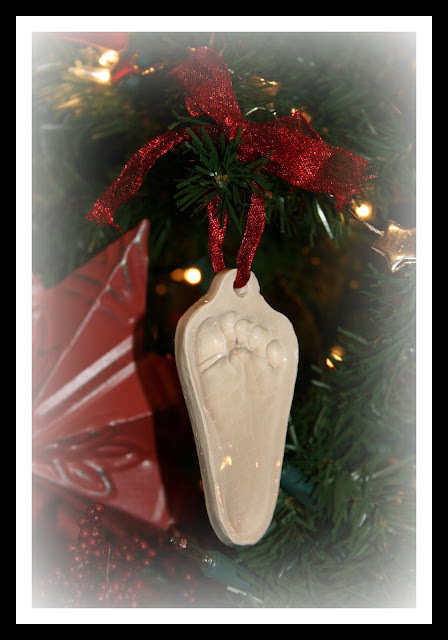 I love my little hand and foot ornaments that my friend, Shelby, made for me when both of my children were babies. 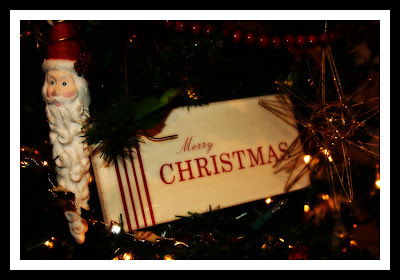 I think they're my favorite ornaments and my kids LOVE finding them each year as we decorate the tree. Aren't they the sweetest things!?! 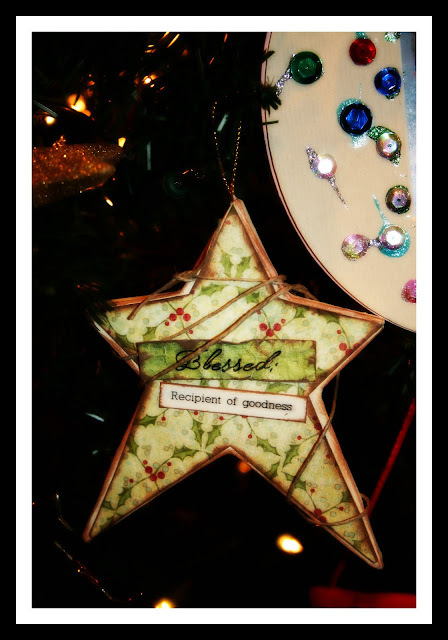 I think it's nice (and possible) to combine beautiful ornaments with some sentimental as well. Why not have both, right? The next few photos are of some more of my favorite ornaments (edited on Picnik.com). We made these star ornaments with our church's Activity Day program a couple years ago. The idea came from this book I have. So your identity won't be known. Place the star upon their bed. For another, it is said. I read a story the other day that talked about what all of the decorations of Christmas symbolize. It made me feel better about putting so much time and effort into the decorating part of Christmas. Sometimes the meaning of the holiday can get lost, but each little decoration we put up probably has some kind of reference to our Savior and how we should be doing goodwill to our brothers and sista's! It's actually a good thing that we have all of those reminders surrounding us so much this time of year. I plan to pay attention a little more to the meanings behind my decorations. Well, the snow has fallen and we've broken out the Stephen's Vanilla Hot Chocolate (is it really "hot chocolate" if it's vanilla?) around here. Mmm, that sounds good right now. Time to get me some! Hope you have a warm and festive day! 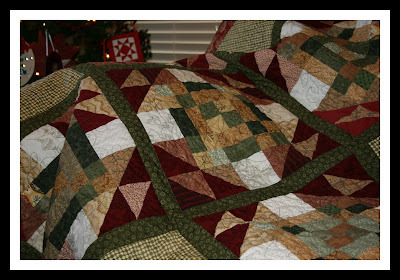 ~It's the perfect day to snuggle up with a cozy quilt and a loved one (or two)! :) Bye! 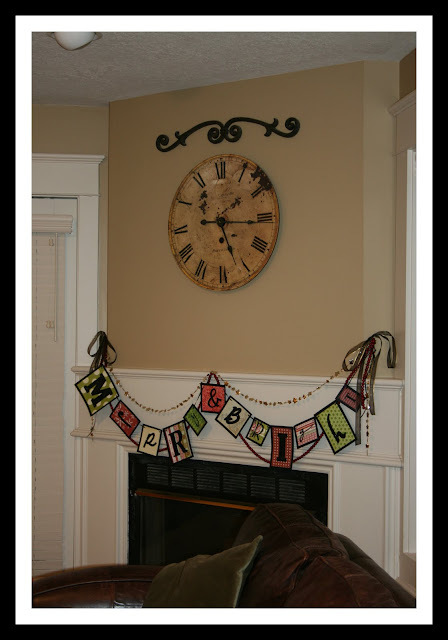 The banner looks great on your fireplace! And I love all your ornaments. It's fun to get the ornaments out that the kids have made every year and see how much they've grown and changed. I love the little foot ornament! What a perfect family heirloom. A fantastic idea! Oh, your decorations are inspiring! I can't believe it's already the 12th. I haven't gotten a single thing out yet. This is a motivator! Thanks and so beautiful!